Whether you’re rehabbing an older home or simply making a few cosmetic changes, you’ll need to make smart (and cost-effective) decisions if you want to add the most value to your investment. In today’s post, I reveal some of the best interior design tips for flipping your first house as an investor. The first thing you should do is check out the surrounding homes in the neighborhood. What kind of houses do you see? Are they contemporary or modern design? Mediterranean? Victorian? Having a comprehensive understanding of your neighborhood comps will help you gain insight into what homebuyers are looking for in that area. This will also help you manage your budget, plan for landscaping, and choose appropriate (and affordable) materials that will help add to the value of your investment. That being said, your motif should celebrate the original style of the home you’re flipping. If you’re remodeling a traditional space, consider using more ornate elements such as crown molding, dark woods, built-in cabinetry, wood paneling, coffered ceilings, and jewel-toned accents. Larger furniture pieces in European silhouettes with paisley, floral, and striped upholsteries are also popular elements in traditional spaces. Contemporary homes are famous for their open concepts, minimalism, and geometric forms. 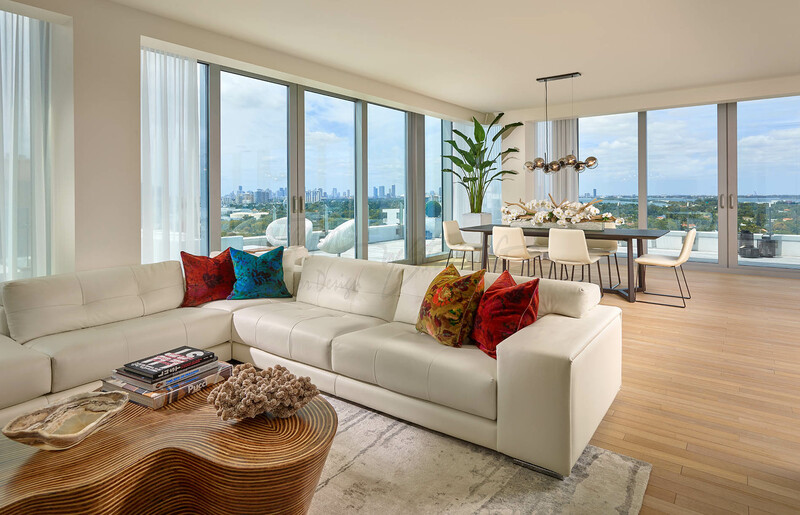 Eliminating walls, incorporating fewer (and smaller) furniture pieces, and adding simpler finishes are wise investments when renovating contemporary spaces and a great way to impress potential buyers. You want your house flip to have personality, but you don’t want to turn off homebuyers with bold and distasteful design. Designing a space in neutral color palettes will make it feel warm and inviting. It will also give you myriad of decorating options to incorporate into your investment. You can infuse pops of color through artwork, photography, accessories, window treatments, and even plants. Incorporating a feature wall in wallpaper, accent colors, reclaimed wood, stack stone, or other materials is a fun way to add visual appeal and value to your first house flip. Investors tend to underestimate the important role flooring plays in home design. Would you want to purchase a home with old, dirty carpeting or stained hardwoods? Of course not! Most flippers need to be prepared to spend time and money on new flooring. You’ll need to rid your home of old carpeting, linoleum, chipped and fading tiles, and other dilapidated flooring. Expensive neighborhoods should have lavish flooring such as marble, high-end porcelain, or hardwoods, but there are a lot of affordable flooring options out there if you do the right research. For example, refurbishing hardwood floors is a much more affordable property investment option than purchasing new ones. Having the same flooring throughout the home will make it seem larger, especially if the home is only one level. 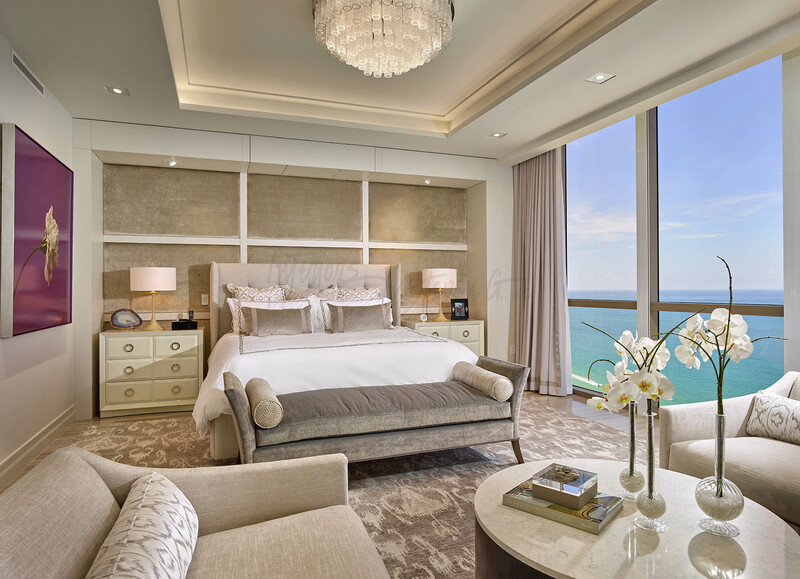 Some buyers prefer carpeting in the bedrooms, and some favor a more seamlessness transition from room to room. Again your neighborhood comps will help you choose the right style, color, and materials for your home. Kitchens and bathrooms can make or break a house flip! 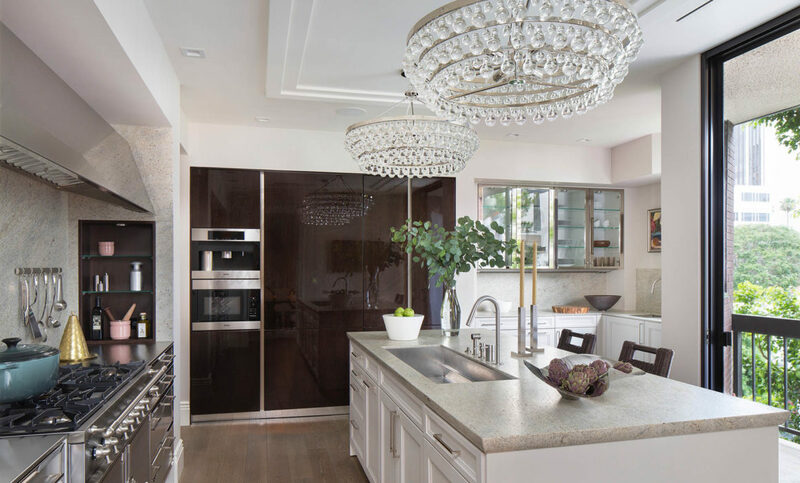 Homebuyers will expect large kitchens and luxurious bathrooms with high-end upgrades. Check out this previous post for some great investor renovation ideas to learn how to create dream kitchens and bathrooms at affordable costs. Homebuyers want special houses. They want architectural details and furniture pieces that look and feel one-of-a-kind…even if they aren’t. If you can avoid buying mass-produced pieces that can be found in hundreds of homes, then do so. Nobody wants bland, common, and inexpensive elements in their homes! Instead try to find more unique pieces that will appeal to a broad range of homebuyers’ design preferences. If you’re new to the house flipping game, then you should hire an interior designer to help your flip come to life. We make better renovation decisions than investors, and have exclusive resources that can help you see a higher return on your investment. Homebuyers are looking for perfection, and interior designers plan for everything from major renovation projects to the tiniest finishes. We can transform even the most neglected of spaces into dream homes that are easier to flip and buyers will love.